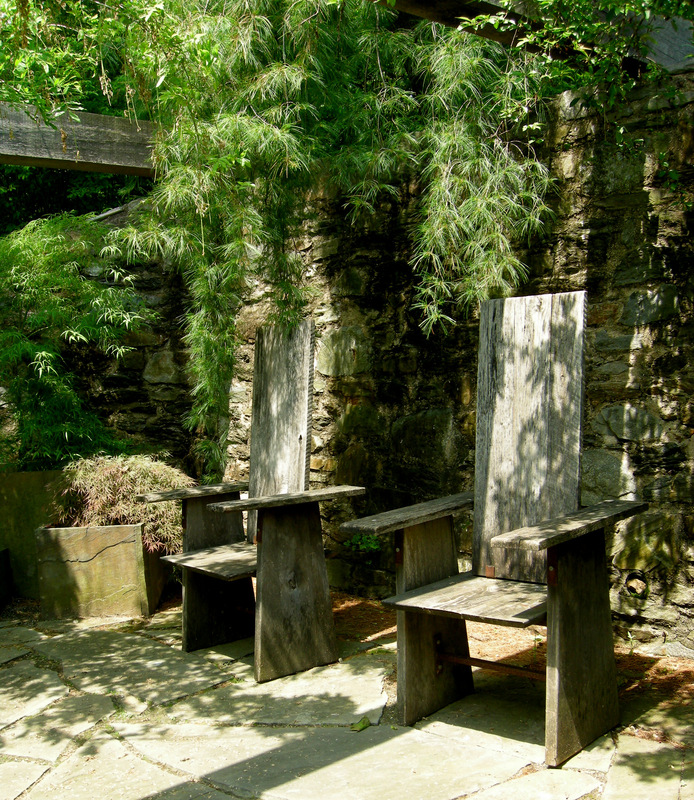 A grouping of chairs in the Chanticleer garden. 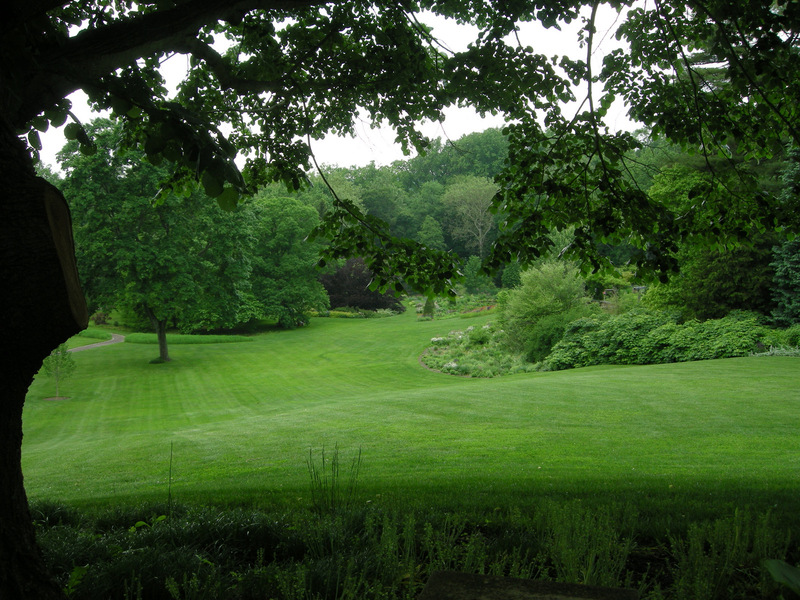 Chanticleer is a very unique and intimate place in Wayne, Pennsylvania, U.S., that calls itself “A Pleasure Garden”. In my April article of that title, I explained why that moniker perfectly describes Chanticleer. It is a garden designed by individuals who are both artists and plantspeople. Every plant in the garden is placed there not only for its pleasing horticultural attributes, but also as an object in the overall design for color and pattern and to provoke a feeling or reaction in the onlooker. Although this is a serious garden, whimsy and the element of surprise are important considerations. And the attention to detail is amazing. 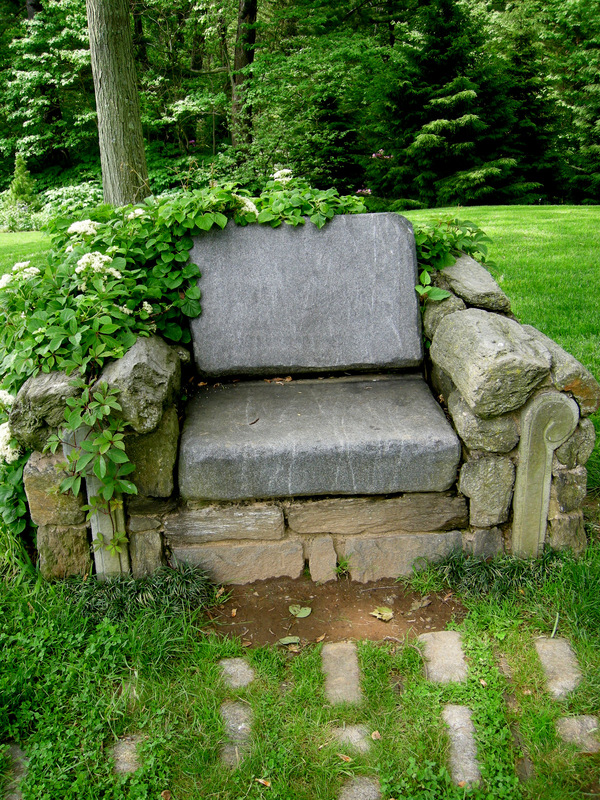 A stone armchair evocative of the Flintstones near the Ruin Garden. 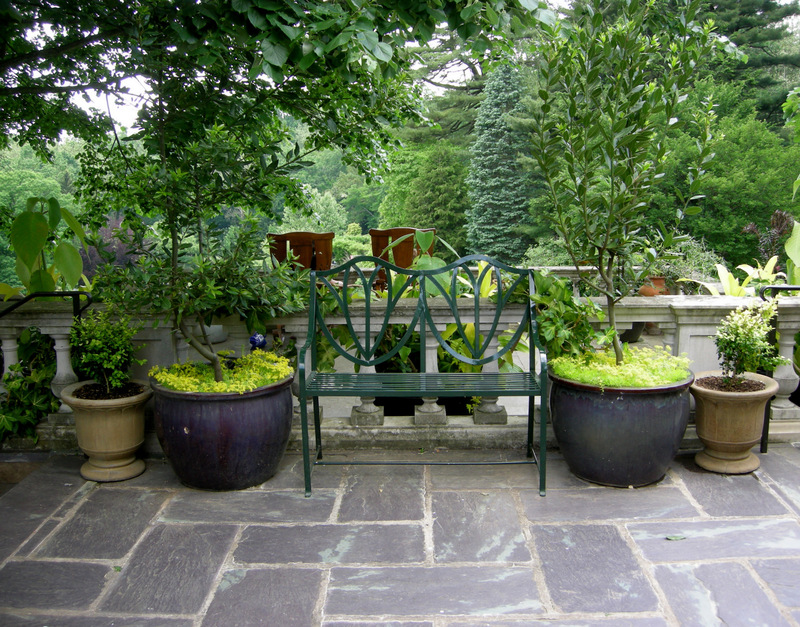 When I revisited Chanticleer recently, I realized that I could help readers understand just how unique this garden is by focusing on one element: garden seating. In fact, no other aspect of the garden demonstrates more clearly the complex thought process that must go into each of Chanticleer’s design decisions. 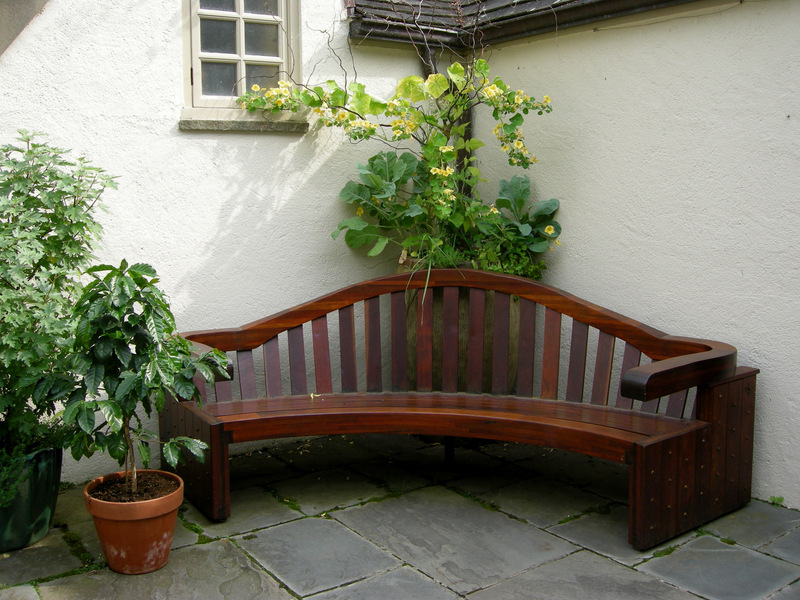 Garden seating is not just for sitting, in fact, it may be primarily for viewing. It is used to evoke feelings in the viewer, of coolness in the heat, of enclosure in open spaces, of grandeur, of restfulness, of mirth, of tradition. It draws the eye, completes a vignette, moves you through the garden, or slows you down. It is integrated in the landscape in a way I have never seen anywhere else. 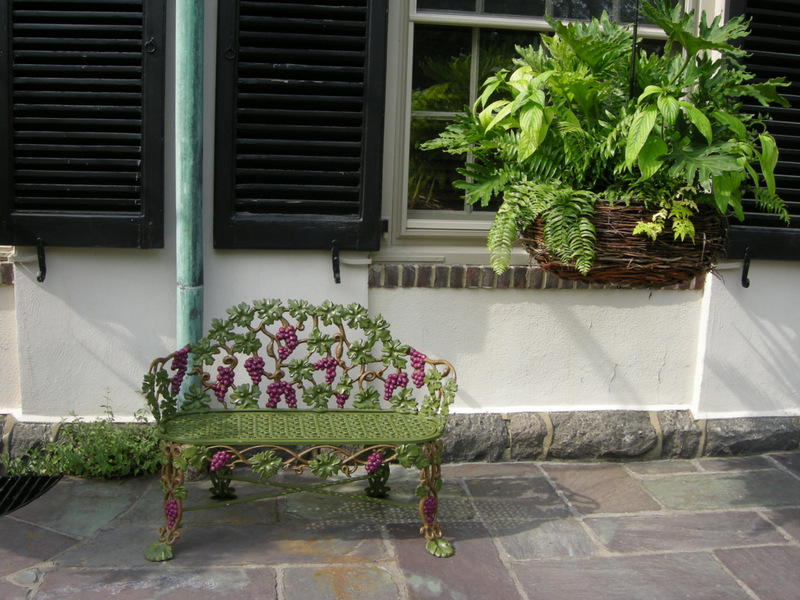 The seating on the porch of the Chanticleer House is very traditional. It feels as if the Rosengarten family is just around the corner. Chanticleer has inspired me over the years to add more thoughtful resting places to my own garden and to think of every element of the garden as important, not just the plants. I hope you too will take away some good ideas as we walk around Chanticleer together trying out the seating (and the water fountains because I love them too!). The plantings around this bench in the entrance garden change through the year. When I visited, they were tropical. 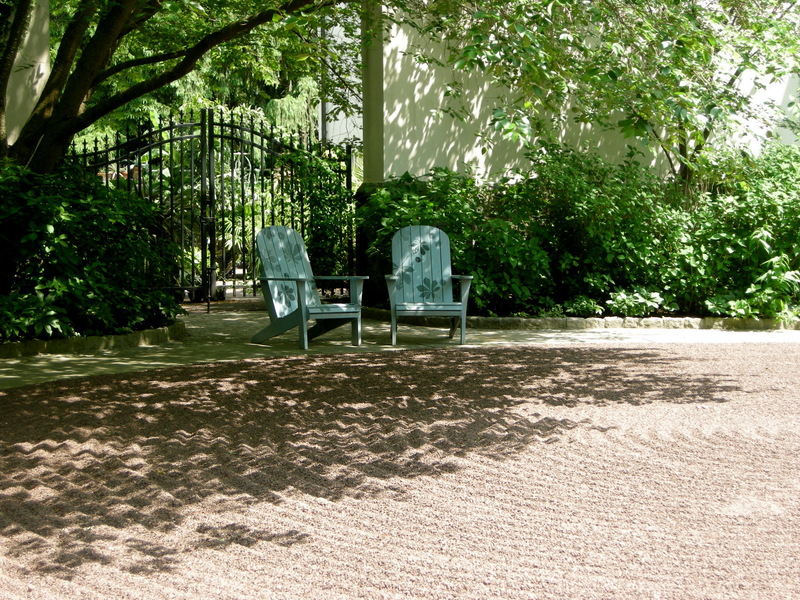 A sliding bench in the shade of an elaborate arbor in the Tennis Court Garden. The seating at Chanticleer is often colorful. It can even match the flowers. 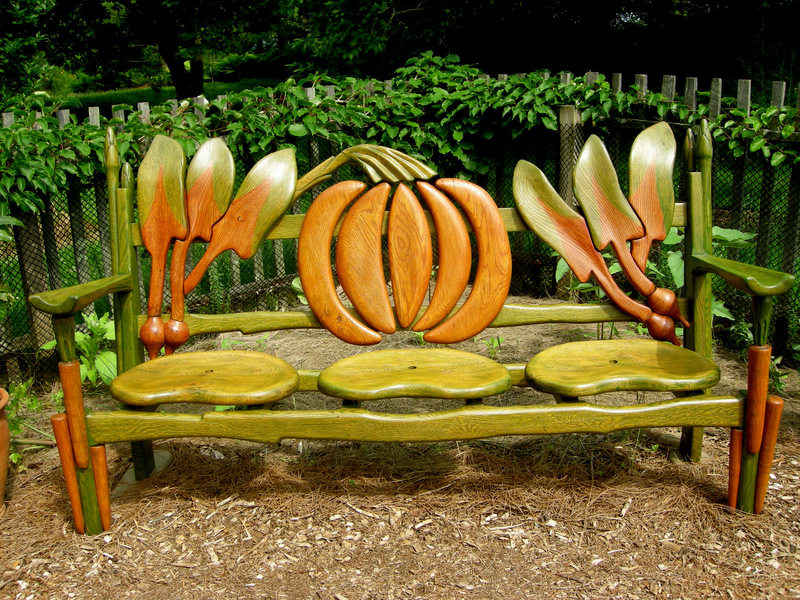 Whimsical bench in the Vegetable Garden. Water fountain on the path to the Ruin Garden, far right. 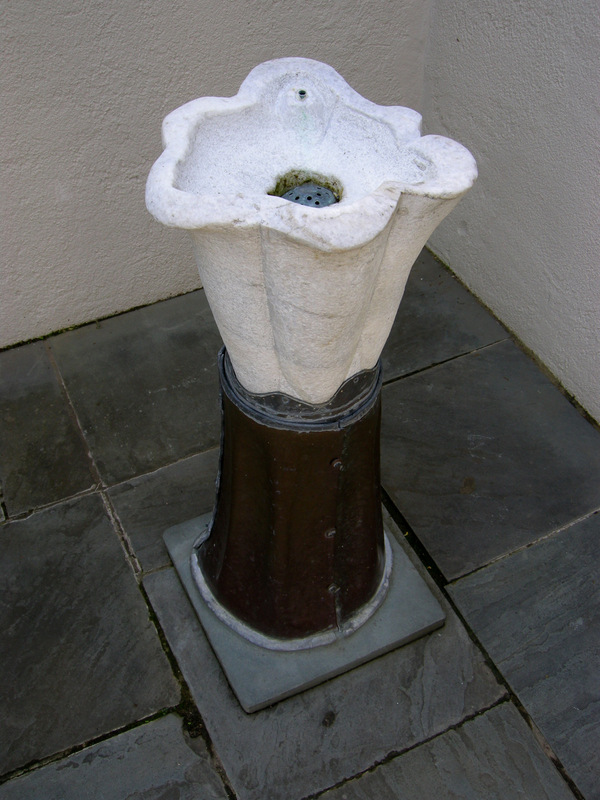 Detail of water fountain, incorporating the oak leaf theme of the Ruin Garden. 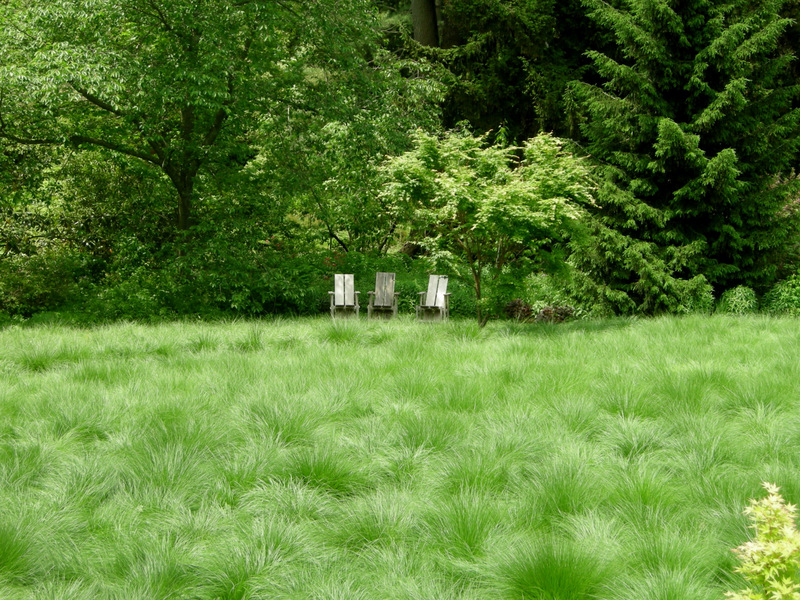 I feel cooler just looking at these chairs across a sea of shimmering grass below the Ruin Garden. This secluded bench in Minder Woods is a work of art. Overlooking the Pond Garden is a large flagstone terrace covered by an arbor sheltering shady seating–very popular on Friday evenings in summer when Chanticleer is open late for picnics. 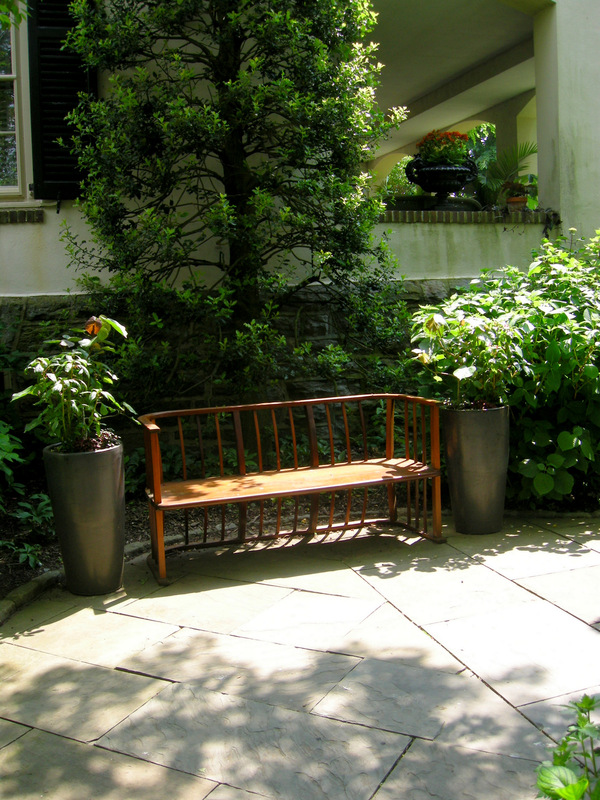 A side path in the Asian woods brings you to this seating area–there is always an elegant arrangement in the vase. 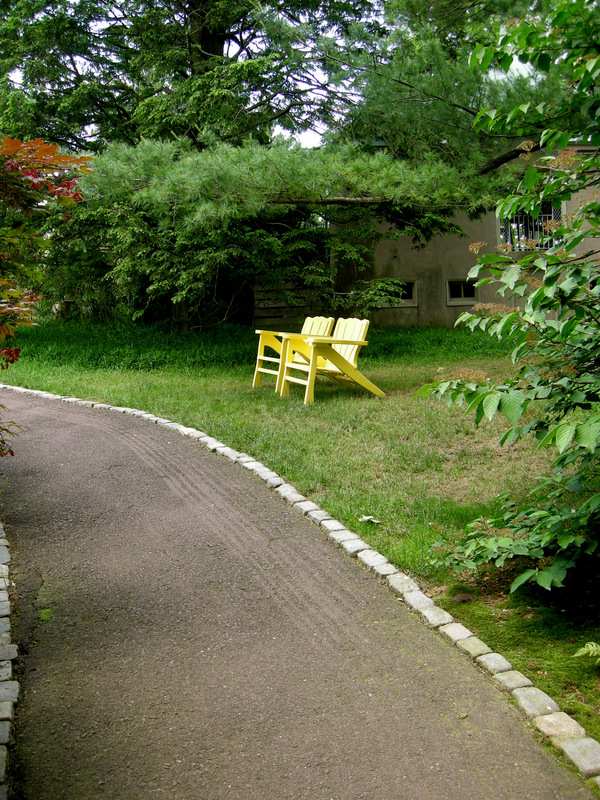 Behind this area, also in the Asian Woods, is a bamboo forest, and the chairs incorporate the motif. The stone flower sunk in the path inspired me to place similar features at the junctures of my woodland paths. 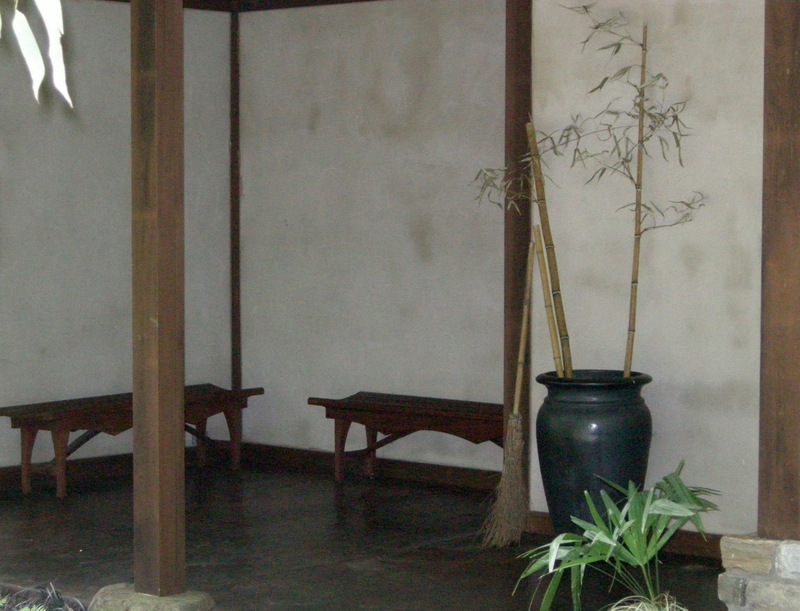 Simple benches on the porch of the restroom in the Asian woods. 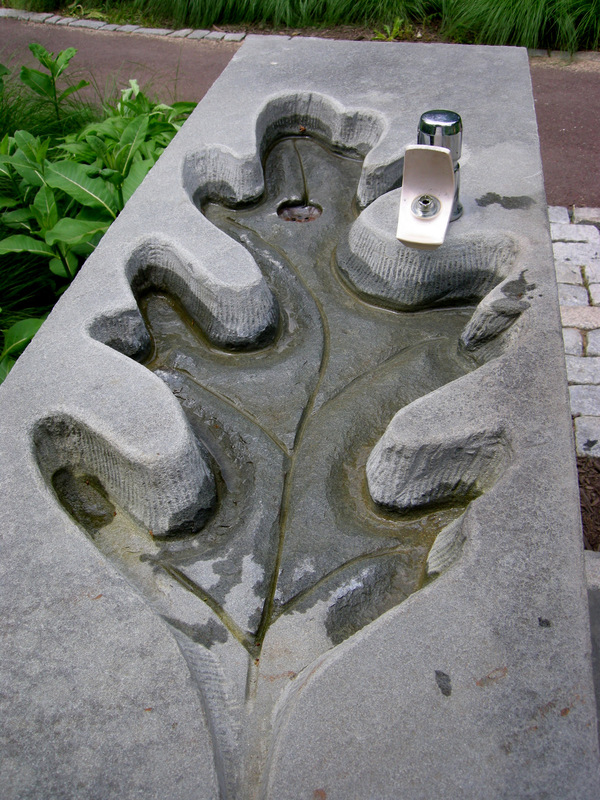 My children loved to watch the water snake out of the stone trough attached to this water fountain near the Asian Woods. A totally different feeling is evoked by these more traditional porch chairs along the paved path up to the Chanticleer House, almost like a grandstand from which to view the action instead of retreat from it. 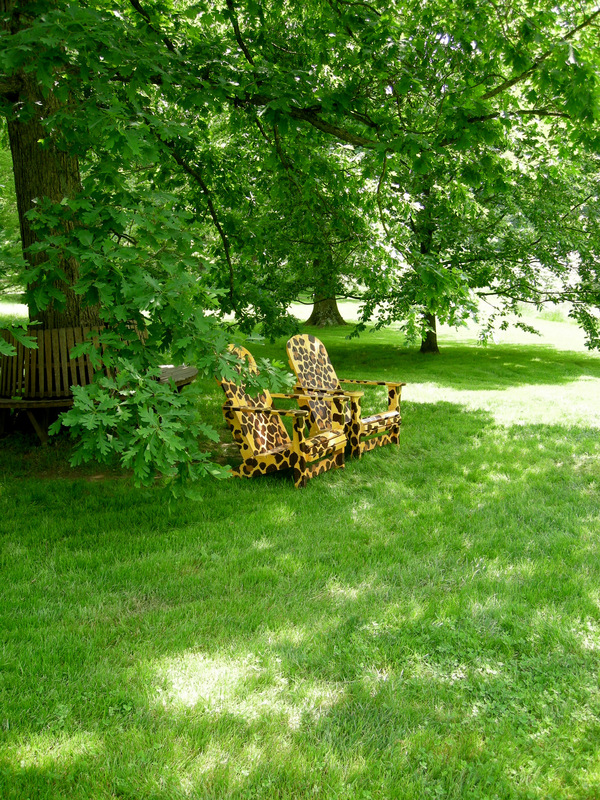 This photograph and the following five are all of different kinds of seating around the Chanticleer House. 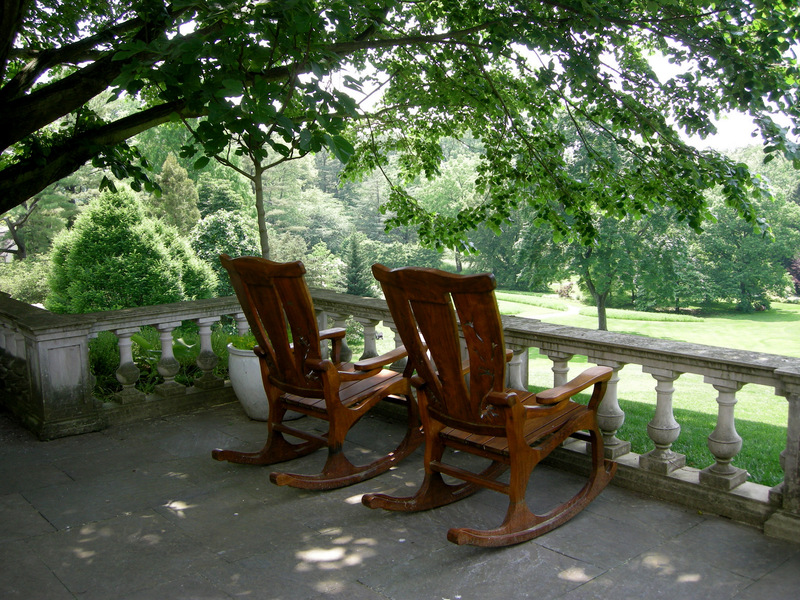 The view from the rocking chairs–so peaceful. 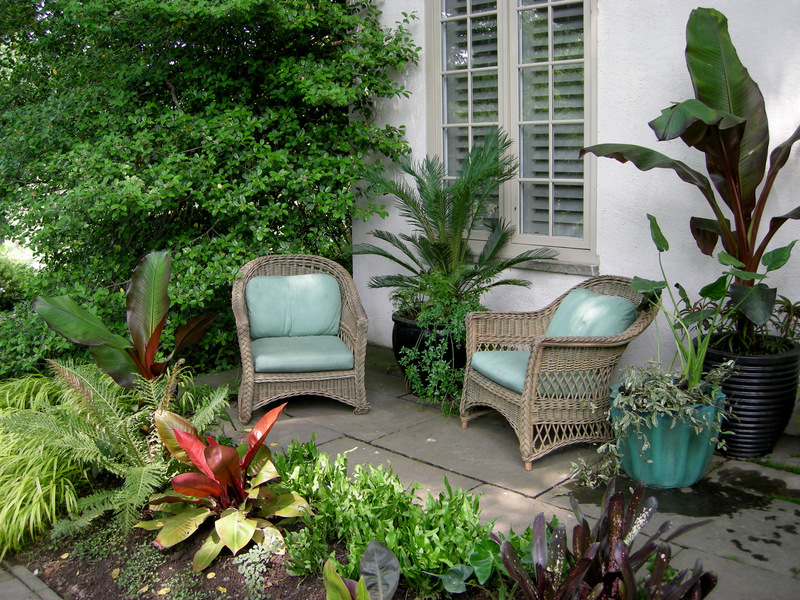 Traditional wicker chairs near the Teacup Garden reflect the tropical feel. 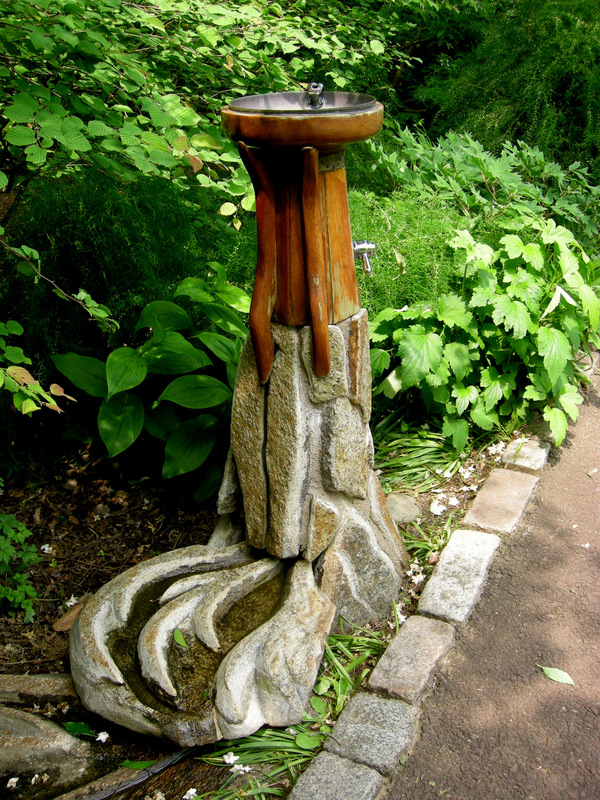 Water fountain in the Teacup Garden. 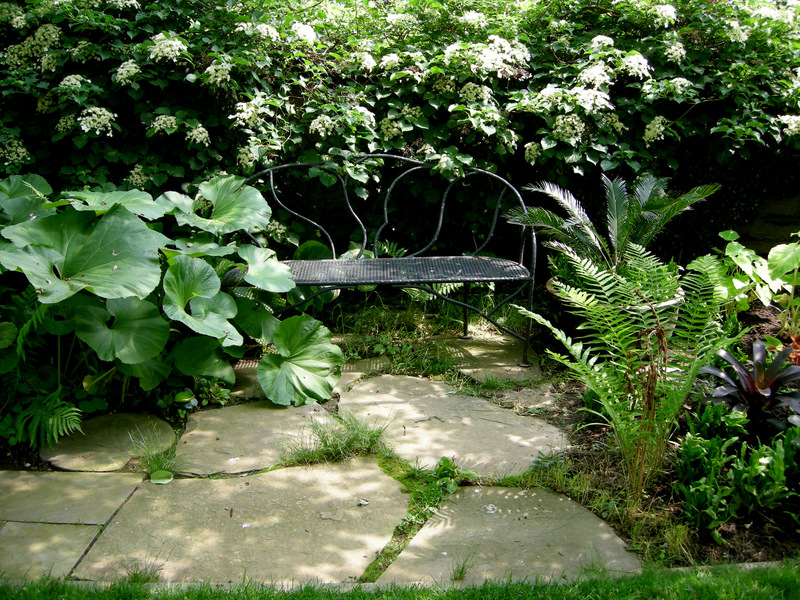 Bench in secluded alcove near the Teacup Garden. Bench in entrance area to Teacup Garden. 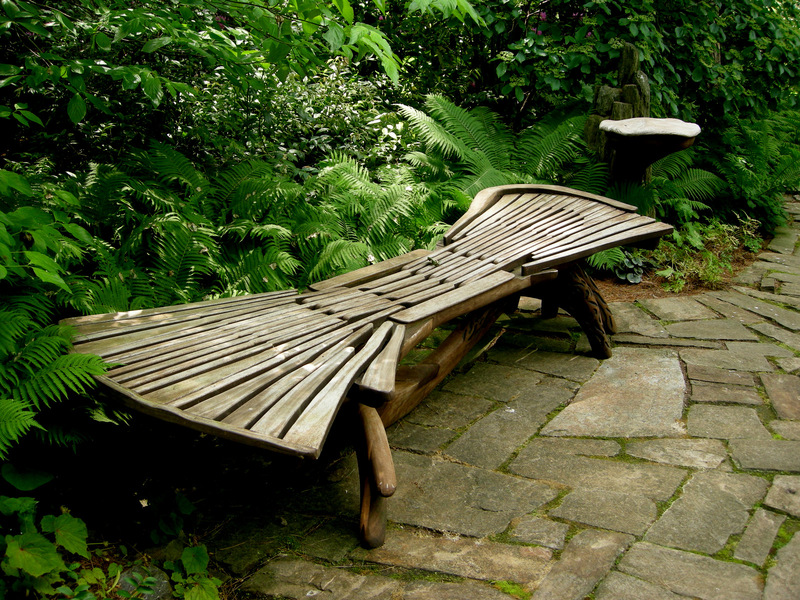 If you are thinking of incorporating seating into your garden, Chanticleer is the place to visit for ideas. From simple to elaborate, from traditional to whimsical, Chanticleer has it all. 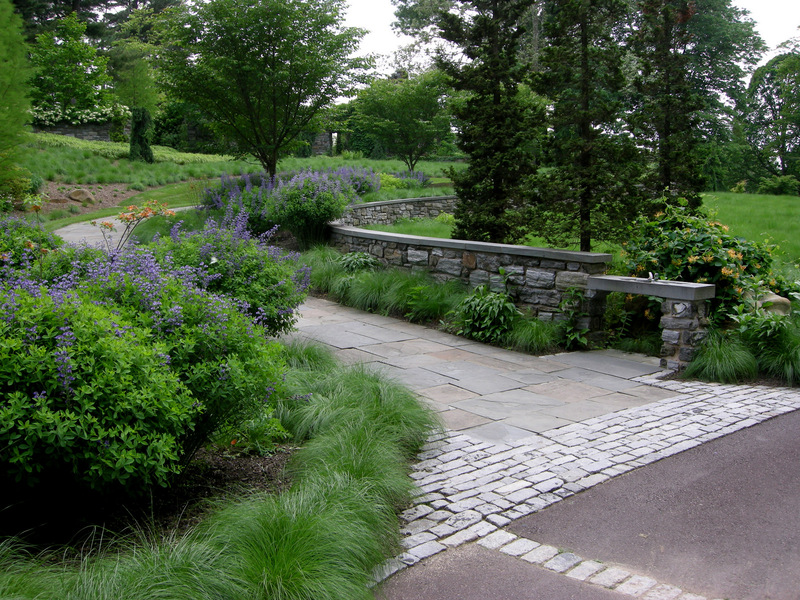 This entry was posted on August 8, 2011 at 4:07 pm and is filed under garden to visit, landscape design with tags Chanticleer, garden seating. You can follow any responses to this entry through the RSS 2.0 feed. You can leave a response, or trackback from your own site. Chanticleer is such a jewel practically in some of our back yards! After all the hard work we all put in our gardens, it’s nice to sit and enjoy them! Chanticleer has the right idea!! Wow! 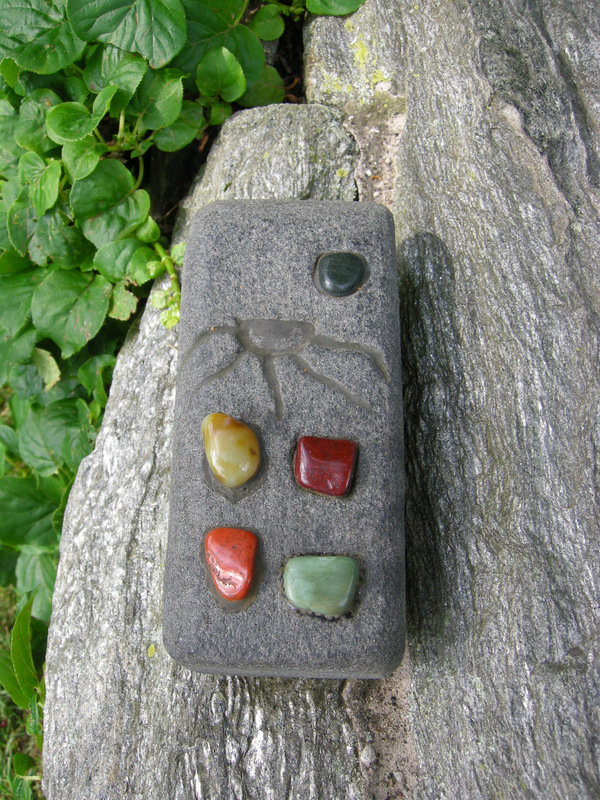 I was hooked by the Flinstones seating area with the stone remote! Your post is inspirational; I can imagine what an actual visit to Chanticlear would be like. The water fountain with the stone trough in the Asian garden is a delight, as are many of the benches and seating areas. They contribute so much personality; Chanticlear would not be the same without them. 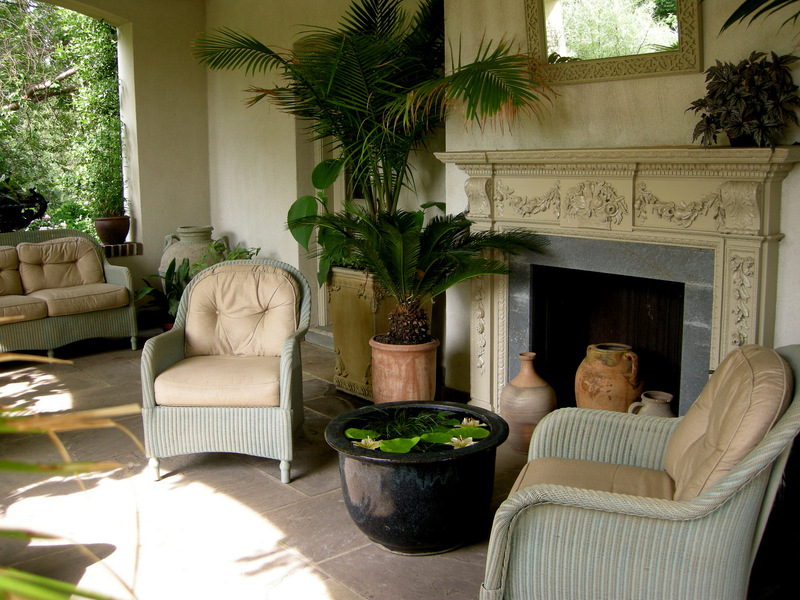 One of my favorite things about the stone living room at Chanticleer is that the stone is cool to sit on even on hot days. Also, the whole thing is at the top of a hill under some tall trees, so it’s almost always in the shade and there’s usually a breeze blowing through. And of course the view is fabulous! While the Flintstonesque seating group is popular for its novelty, surely the Main House side porch with its celadon-washed wicker and sumptuous cotton cushions is the most comfortable place to sit. Now this is the place I always circle back to and most recently, I enjoyed some moments alone here, fantasizing about living here. With the expansive hillside view, the rich collection of potted vines and tropicals in magnificent pottery, and even a fireplace for cool autumn nights………. A variety of ample seating in various styles. I can see why people are getting ideas. Nice showing. There are so many lovely benches in these photos. I can see what you mean about the seating drawing the eye, acting as an art piece and focal point yet also being a place of rest and viewing spot. Wow! Thanks for those inspirational pictures. I love the stone armchair. And you’re right, I am now thinking about interesting seating for my garden. Carolyn, what a mesmerizing place–I could look at that “sea of shimmering grass” for hours. I love how you’ve shown us the care in the gardens through the “lens” of seating, and not just because I’m fond of a good place to sit. The materials, colors, shapes, heaviness–such artistic and intellectual control over the choices, all made to seem effortless and right. Even the arch to the chair backs by the raked gravel is almost a perfect echo of the arch on the gate behind them. Amazing! 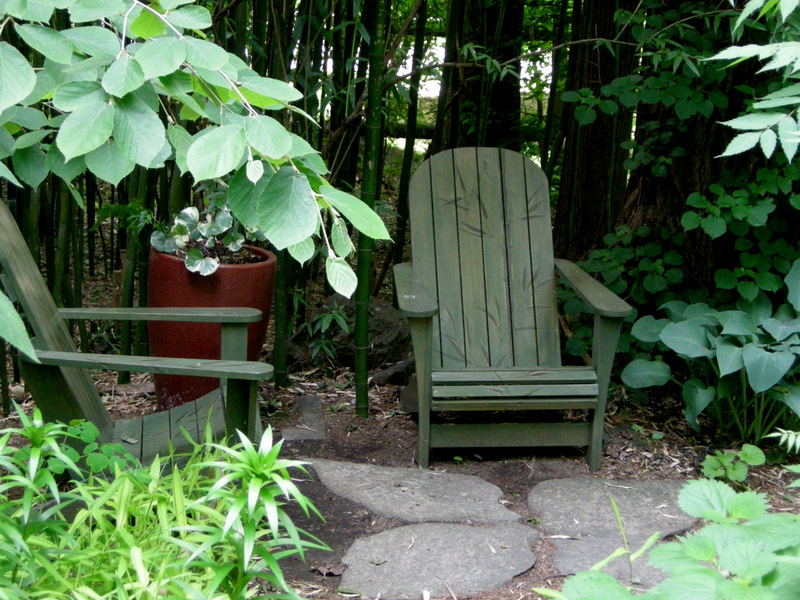 What would a garden be without seating to relish the views and meditate on the sounds and happenings in the garden? Chanticleer is top on my list of gardens to visit. Thank you for sharing a glimpse for me to savor. 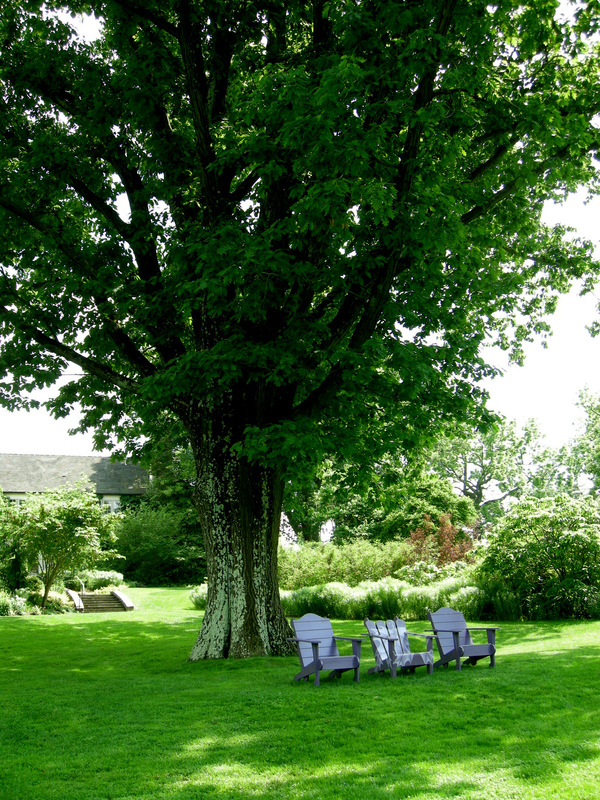 Dear Carolyn, What a wonderful variety of seating at Chanticleer — I am so glad you made it your focus. I really have to get out more and visit some of the beautiful public gardens in PA. You inspire me. 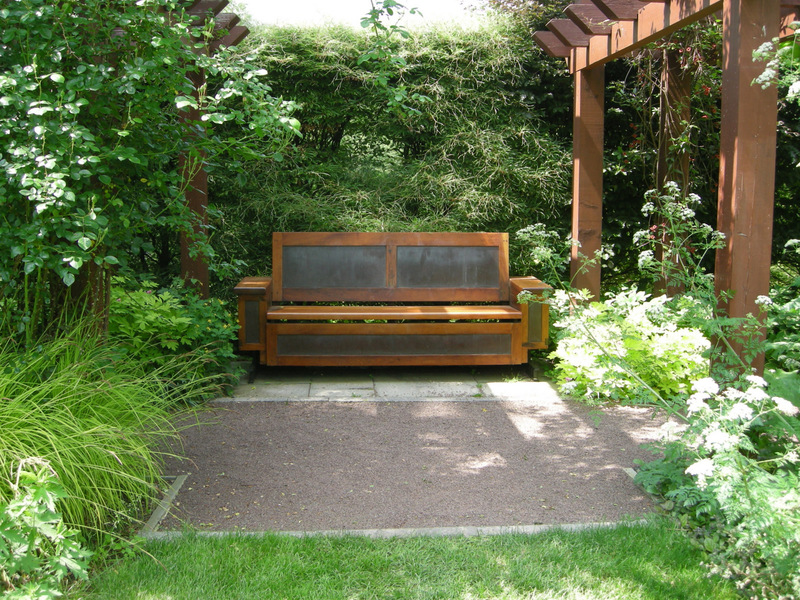 Placing a seat in a garden/landscape is another way for attracting viewers. Aside from its beautification purpose, it is useful in relaxation. You may rest on the bench and just a little it relieves the pain you feel inside. I was able to see Chanticleer again a few weeks back on my birthday. We both have some of the same shots, but I have yet to finish going through all of my photos (173!!). Hopefully I will get my post up soon and we can compare what we saw. I love the bench in the vegetable garden! 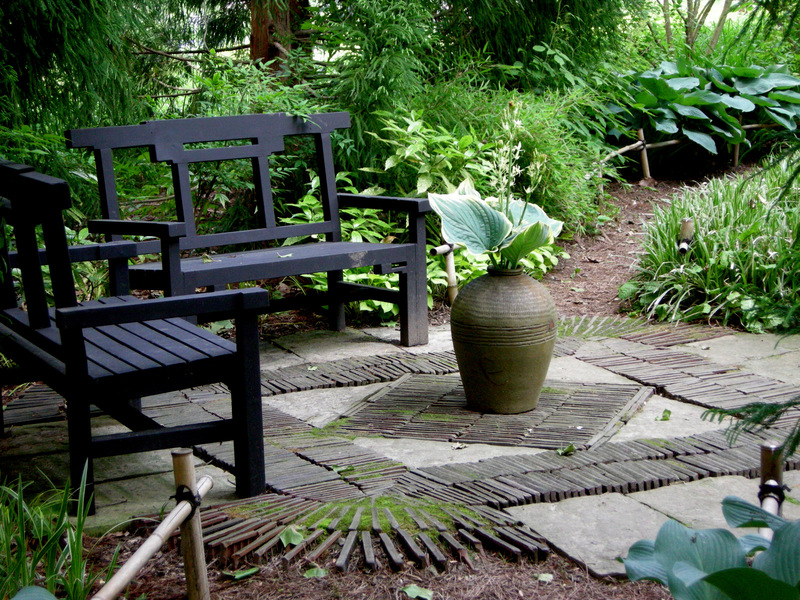 It is amazing how many seating styles are to be found in one garden. I have been wanting to add more in my garden and this has really started my wheels spinning! 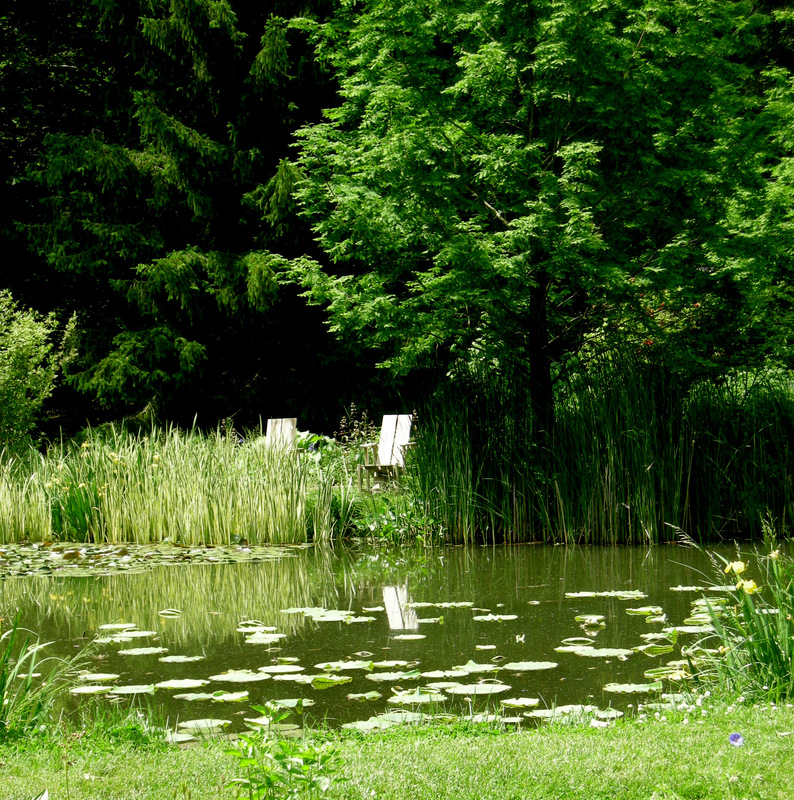 Chanticleer is on my list of gardens to visit…one of these days. Gorgeous and inspiring! I’ve never seen such imaginative outdoor furniture before! I wouldn’t even know where to start with a “favorites” list – they are all fantastic and delightful and instantly calming. Thanks for sharing! What a fab garden. Love all the seats, especially the vegetable garden one. I agree that outdoor decorating is an art and they really nail it at Chanticleer. We sit on our own folding charirs along the stream on Friday nights with our wine and always see at least someone we know walking along the trails. What a treasure this place is! 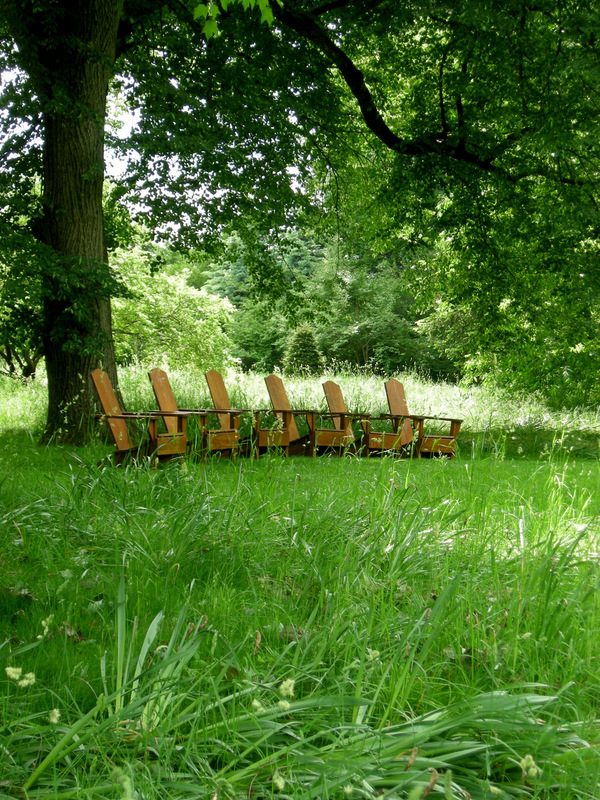 What an awesome assortment of garden furniture in perfect settings. I would certainly bring a picnic there, and spend the day. It must be difficult indeed to captures images without visitors in them… Great inspiring post! ooohh lovely..such eye candy. love your post carolyn. thanks for sharing! 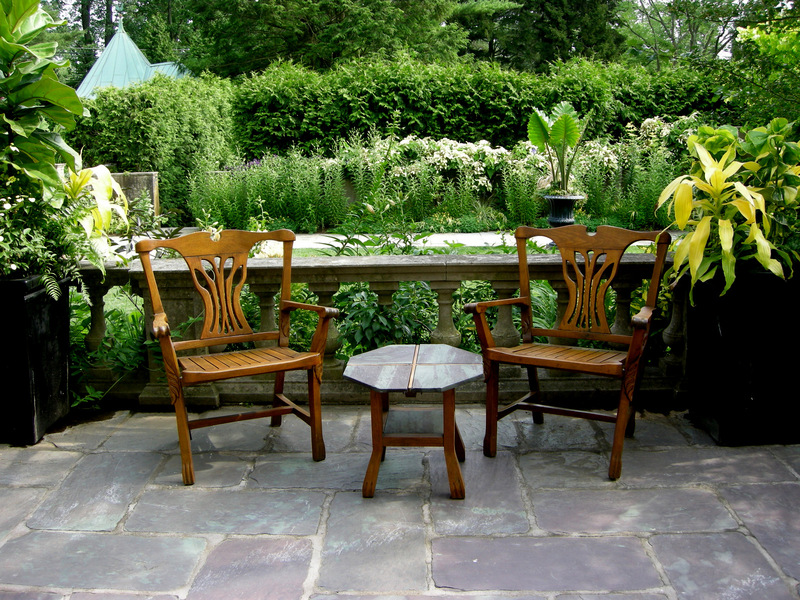 Very interesting to have such varied seating in one garden, but each piece does look like it’s placed perfectly. They are each inviting. Great ideas! Thank you for the tour… what a fresh reminder that gardens are for enjoying from a quiet corner of the world. Thank you for sharing your visit with us. What fantastic seating, such a variety. 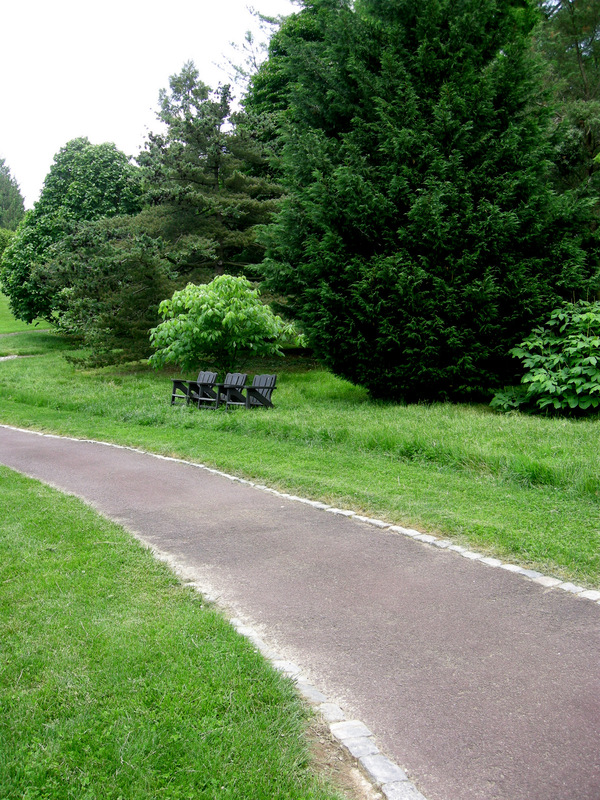 I especially like the benches in the Minder wood and in the vegetable garden. We have various sitting places in our garden but hardly ever use them, too busy – maybe we ought to make time just to sit and enjoy ! Fabulous, absolutely fabulous place. Gardens and art = my kind of place. It is now on my list and bookmarked for the future. Thanks Carolyn. i’m finally going to be able to put in a very small pond in my garden this fall and one of the first changes i wanted to make to that bed was to add a seat so I could be a part of the garden in a more intimate sense. I love all the chairs around Chanticleer. It looks like a special place. Loved the photos and the seats. We’ll sadly never get to see the garden I guess, so I wonder how large it is? I agree with Pauline’s comments above that whilst we’ve tried to incorporate seats into most areas of our garden, it’s a rare occasion when we sit for more than a minute or 2 beofre spotting something that needs attention! But just once in a while, on a sunny summer day…….perhaps we linger a while longer. For inspiration and novelty we both loved the stone seats…it’s given us ideas for a project this autumn, and we thought our seat building days were over! Thanks for a lovely tour – I particularly like the sense of humour on show here. An interesting post! I love those rock sofas. Remote controls? How creative! This definately has me considering some seatiung arrangements in my garden! Lovely and inspiring photos! So many great ideas – but, alas, so little space. 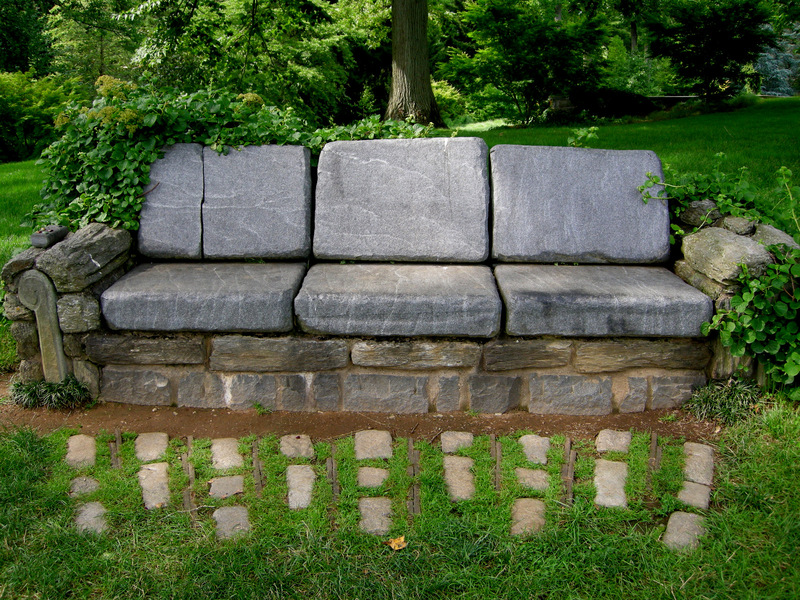 Love the stone seat and sofa. Well, I don’t know how comfortable they’d be, but I love, love, love the stone chair and sofa! Chanticleer, terrific, couldn’t stop smiling. Especially the armchair and sofa, I really think the sculptor must have seen our old three piece suite. 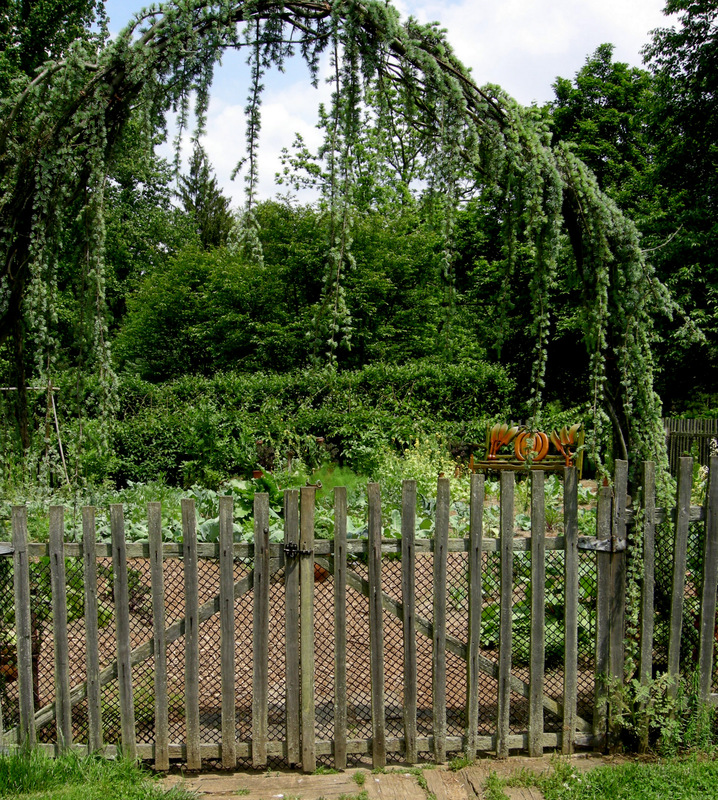 I’ve never heard of this Chanticleer garden, but how fascinating! I LOVE the Flinstone-like stone sofa and chair! How cool!! Wow, I just love the pictures. The stone seats and sofa were beautiful. I love sections of the garden created around seating and from the aspect of sitting and viewing, if that makes any sense. Thanks for sharing! I was so surprised to see the stone chair on pinterest. 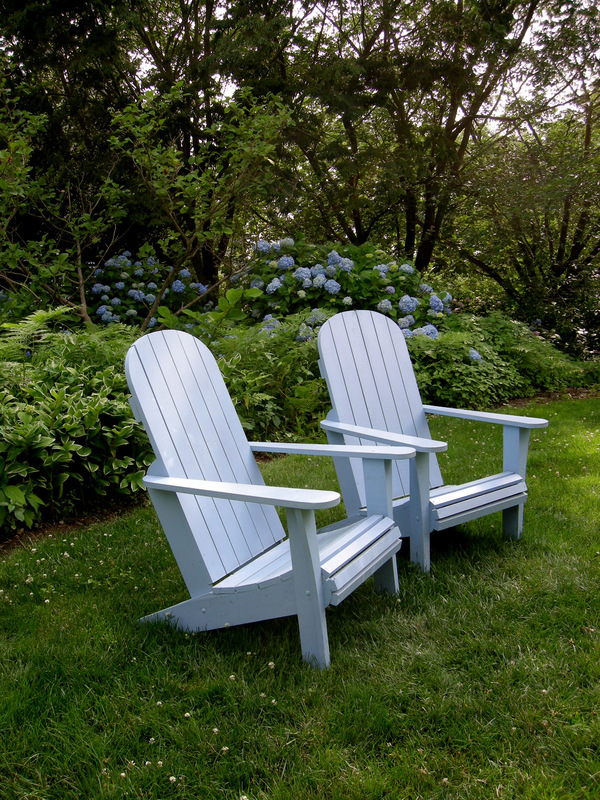 This garden is a hidden gem on the main line and glad to see that you can describe it even better then I.
I am just blown away by these incredible photos of garden chairs. The stone chair and sofa are just incredible creations! Do you know what kind of stones the “Flintstones” furniture are? Love them! We’ve visited there. I have some lovely photos as well. Such a magical place! I was just introduced to this site today and I fell in love! I recently moved and missed my old garden until I realized that I have a whole new clean palate to go nuts with! Flintstone furniture is a must! 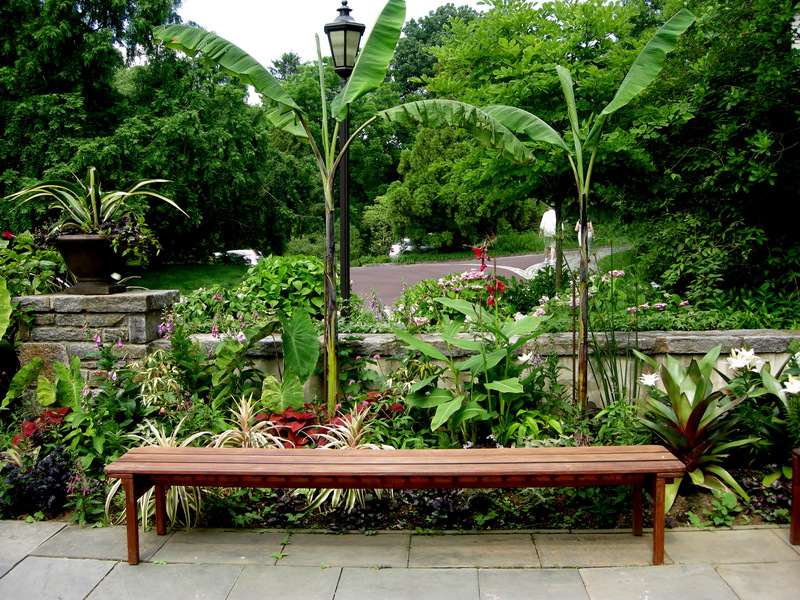 The seating is made on site by the Chanticleer gardeners. Ben Benarcik sells his designs here: http://www.danbenarcik.com/garden-chair.html.